Floor tiles are popular choices for both home and commercial applications. This is because tiles are versatile, easily available, durable, and comes in a wide range of selections. Tiles are also easy to maintain and clean especially in heavy traffic areas like the kitchen and bathroom, where water spillage is very common. 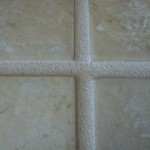 However, tiles are also subject to dirt and grime especially along the grout areas. 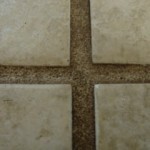 The grout is the construction material that seals the joints and fills voids between floor tiles. This is usually porous and subject to staining, dirt, and can become unsightly overtime due to usage. 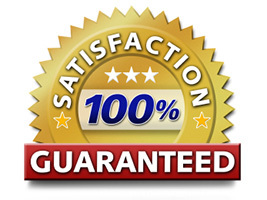 If you want to restore your tiles to its original beauty or refurbish old tiles and make these appear like new, then a quick call to Advanced Cleaning and Restoration in Adelaide will solve your problem. 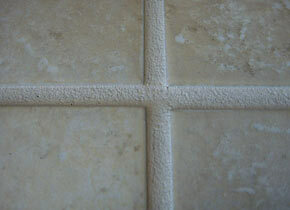 At Advanced Cleaning and Restoration, we offer grout colour sealing material we call “grout perfect”. This is a very durable special acrylic resin topical colour sealer which can last up to 15 years, guaranteed. The grout colour sealer is used to cover the grout on top and within which offers the highest and best degree of protection against stains. Don’t worry about hard to remove stains like beetroot juice ruining your grout because our grout colour sealer totally eliminates grout porosity allowing you to remove stains by just simply wiping the grout with a sponge. This offers a matte finish and uniform tile colour which is highly resistant to water, sunlight, wear, tear, and extreme temperature. 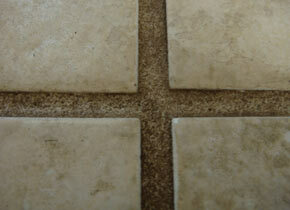 Enjoy brand new looking tiles when you call the certified professionals from Advanced Cleaning and Restoration. Grout colour sealing is the process of sealing and re-colouring old, tired, and worn out grouts restoring any domestic or commercial tiles back to its original appearance. Why install new tiles when you can have the old tiles restored, coloured, and sealed for another 15 years or more? Transform the appearance of any tiled surface with the right grout colour sealing procedure and materials offered by Advanced Cleaning and Restoration.